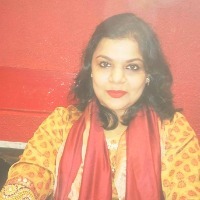 Blog Reviews | Aparna Gangopadhyay - All about what an Indian citizen comes across in life! All about what an Indian citizen comes across in life! Aparna Gangopadhyay would like you to review his/her blog. In my blog I have covered variety of topics...even given a bit about my own self - under the autobiography tab! And the things that I came across - education, career, friends...foes , films, novels, comics...etc. (all that we all more or less get exposed to in life! A complete U turn came into my life after reading Complete Works of Swami Vivekananda.....and although I was already pretty much religious minded (dreamt of Gods etc. since childhood) - I became an ardent spiritual seeker too! I started seeking a Sadhguru (true spiritual master) in 1992...and eventually came across what I had been seeking for probably eons - in 2002 (10 years of constant seekign)!! - I am a Sahaja Yogi and I practice Sahaja Yoga meditation (its all about kundalini shakti awakening and knowing your own self - and manifesting your own divinity). There are poems, short stories, articles, film reviews....spiritual wisdom - a buffet basically - choose whatever you like...and let me know your thoughts!